While we reported only yesterday that Instagram is internally testing a new Stories format, the company has gone ahead and debuted another important feature that’ll further push users to create a lot more Stories, and maybe bring Snapchat die-hards back on board. Instagram has partnered with Giphy to allow you to embed background-less GIFs into Stories. Yes, I’m not even joking right now- these GIFs are basically animated symbols or actions that can work on other photos or just with plain text. Instagram could have been working with Giphy for quite some time to narrow down and single out GIFs with transparent backgrounds, which carry forward the aesthetics of the Stories. We already knew that the company was testing the in-line GIF Stories feature, but did not have much info on its upcoming release. 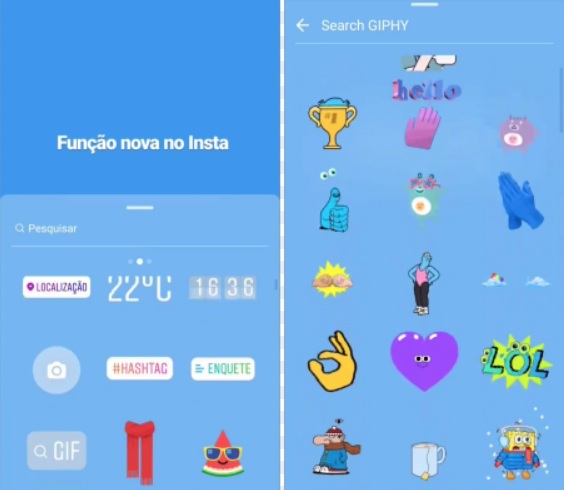 Now, it seems like the feature is rolling out to a wider set of users in Brazil and Philippines, making it possible for them to overlay transparent GIFs onto their Stories. Note: We installed the latest Instagram app (v29.0.0.3.95) on a handful of devices at our offices, but didn’t see the GIF button in the Stories section. If you want to see whether you’ve received the transparent GIF feature, all you need to do is open the Instagram app and capture a photo/ video after swiping to the right. Now that you’ve captured the story, swipe from the bottom of your screen to reveal the stickers menu. Here you’ll see the GIF search button, which you can tap to search for the perfect animated sticker you’d like to add to your Stories. It’s that simple. This feature would also give Instagram an edge over its arch-rival Snapchat, who’s not completely hopped onto the animated stickers train. It did release a bunch of them for the holiday season, but has been focusing on AR stickers and an app redesign for the time being. Snapchat has recently also revealed that it wants its Stories to reach everywhere on the Internet through third-party apps and websites. Instagram Stories may have been a clone of Snapchat’s main bread-and-butter back in the day but the company’s working day-and-night to make it a relevant and unique feature within its large ecosystem. So, are you excited to include animated GIFs into your Instagram Stories? Tell us your opinions down below.